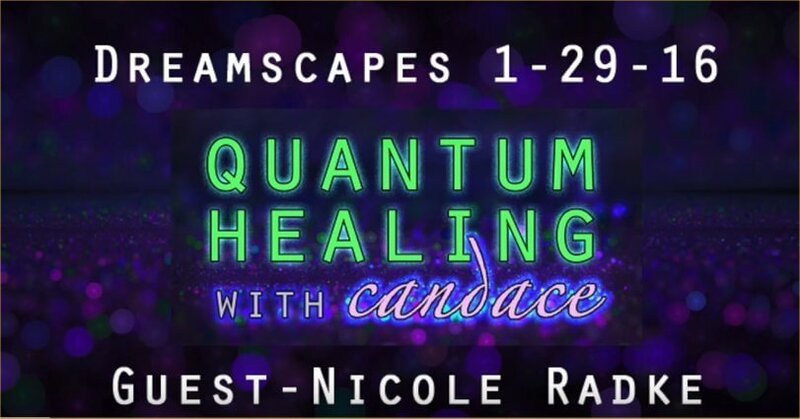 Join me and my special guest Nicole Radke on our Quantum Healing with Candace Dreamscape Show. We will be talking all about dreams. There are many different kinds of dreams and multiple ways one can look at their meanings. We will be interpreting some of our own selected dreams and some of yours too! We will be inviting callers to share one of their own dreams and then we will decode them together on air. Your Higher Self Speaks to you in Dreams. What message is YOUR Higher Self trying to convey to you? We will be talking about dreams and their meaning and interpreting some of our own and some of yours too! Both Candace Craw-Goldman and Nicole Radke practice Dolores Cannon’s method of Quantum Healing.